Products like branded mugs are a great way to get your brand in front of your target customers every day – at the office on their desks, at home, or on-the-go with a thermal travel mug. If you are looking for a low risk, high impact product then promotional mugs are an ideal tried and tested solution. 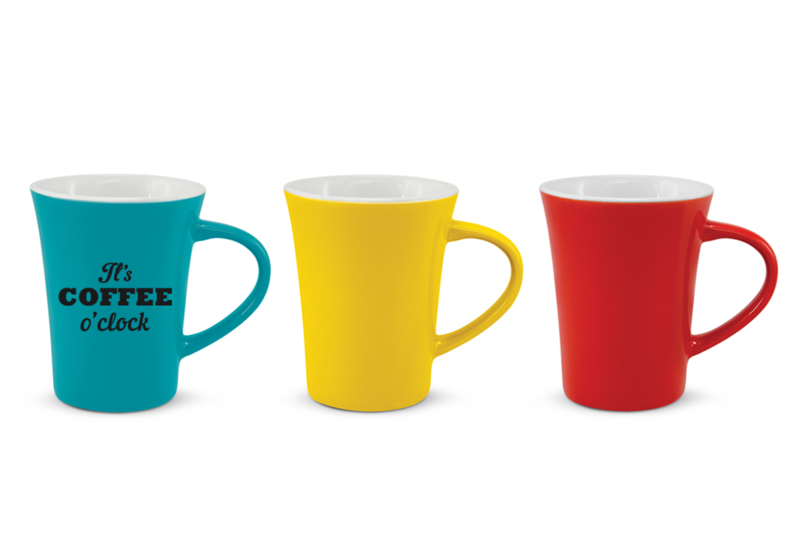 Branded mugs are a great way to build awareness which will increase sales in the long run. 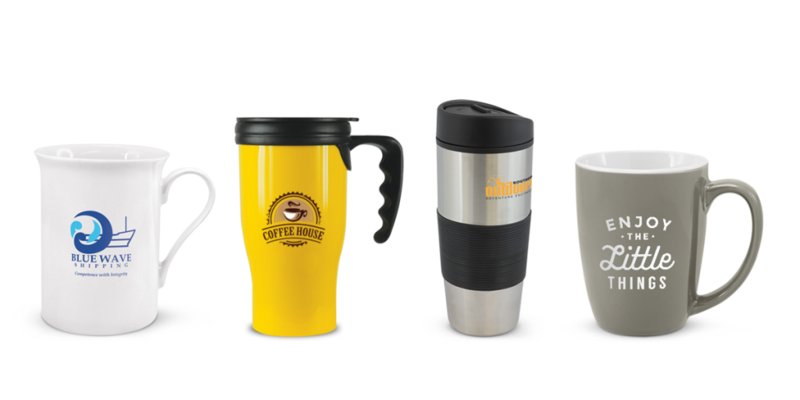 Recent research by the BPMA (British Promotional Merchandise Association) shows that branded mugs are kept longer than any other promotional item. The longer the promotional mug is kept, the more impressions it makes on the recipient and anyone else that sees them using it. The impact of promo mugs on brand awareness is massive. People can recall the specific type of product received and also remember the brand name or name of the company for a long period of time after receiving it. 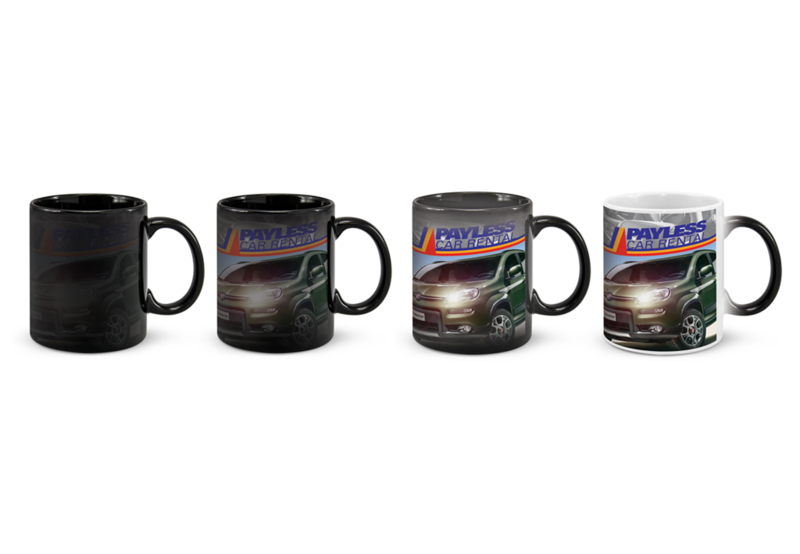 As well as using mugs to increase brand recognition they can also be used in product giveaways, combining it with a call to action to entice or encourage the recipient to do something specific such as enter a competition, visit a specific website or get in touch. Research shows that many consumers are willing to switch their brand in order to receive a free promotional gift! Whatever way you decide to use promotional mugs in your marketing campaigns, they are a great way to build awareness which will inevitably increase sales. Most commonly company logos & contact details would be branded onto mugs. But there is also the option of a clever message printed on the mugs. 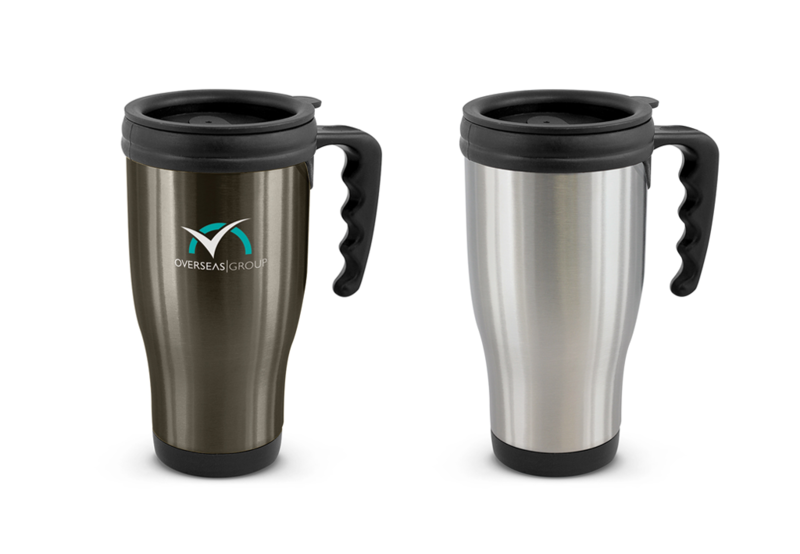 The majority of thermal mugs are manufactured with a stainless steel outer wall which can be pad printed or laser engraved. However, there is a thermal mug manufactured from neoprene available which can be branded with a sublimation full-colour wrap around print. Pad print: The most common print option for mugs. It is one of the most popular & affordable ways of branding products due to its ability to print multiple colours in a single pass. Rotary Screen print: Large print areas possible but only one colour is offered and limited to only a few mug styles. Sublimation Full Colour Wrap Around print: Used for branding mugs that have a special coating on them or are made in a material suitable for the sublimation process. Sublimation ink is actually a dye so there is no ink build-up on the finished print and it looks like part of the product. It is ideal for producing vivid full-colour images as well as spot colour branding.